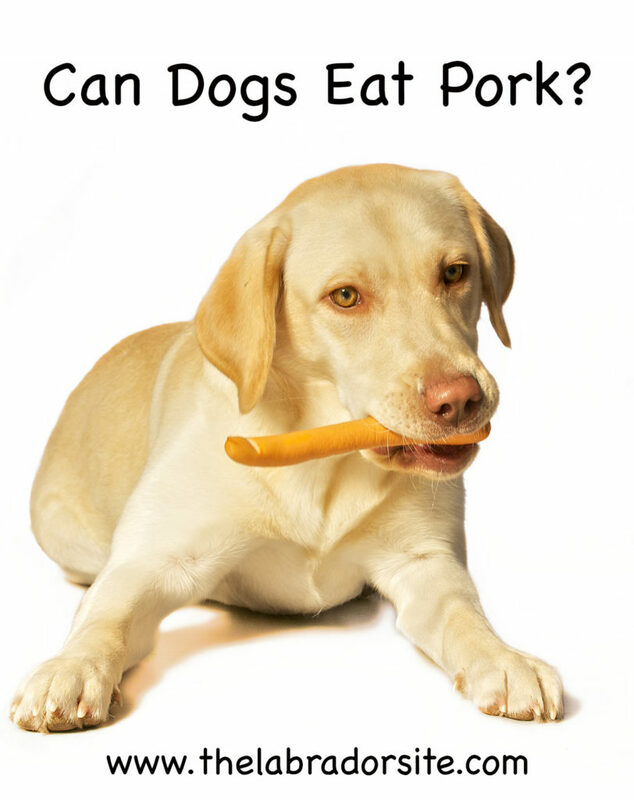 Can Dogs Eat Pork? 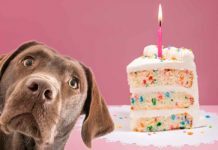 Get The Food Facts For Your Pup! Can dogs eat pork? Dogs are commonly looked at as carnivores, and therefore owners usually do not question feeding their furry friends meat. However, dogs do not always avoid consuming what isn’t safe for them to eat. 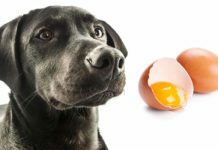 If you’ve ever owned a dog, you know that they sometimes try to eat things that are unsafe, or things that really aren’t edible at all! My own canine has a tendency to do this all the time. Because of this, it is important to always screen what your dog eats. Ensure that everything they are eating is actually safe and nontoxic. We are responsible pet owners, after all! It is one of our many jobs to ensure that our pets are eating what they are supposed to. But what about pork specifically, or pork bones for dogs? 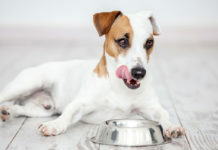 Normally, we don’t even think twice about feeding our beloved pets meat. But is it really something that is good for them? We’ll look at the components of pork, and our pet’s natural diet. Then, we’ll use these two bits of information to judge whether pork really is a good fit or not. Pork is made up of, well, pork! More specifically, pork is almost completely made out of protein. In fact, it contains about 81% protein, with the rest being fat. 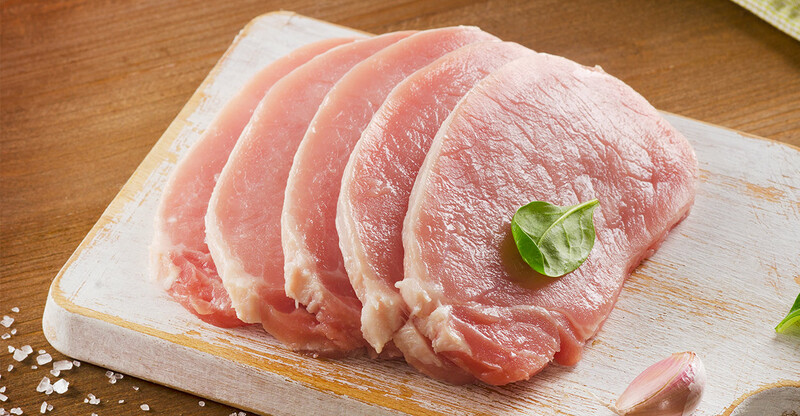 Pork is also a decent source of vitamin C, niacin, phosphorus, and zinc. It is also a very good source of vitamin B12, iron, and selenium. How does this stack up to a dog’s natural diet? Let’s take a quick look at our current understanding of a canine’s diet. 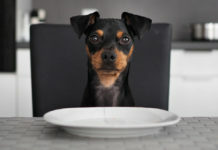 Despite some beliefs, dogs are carnivores. This means that they are designed to get almost all of their nutrients and energy from meat. Actually, it has been found that the dietary preference of dogs is very similar to wolves. One study found that wolves have a nutrient preference for a diet with a Protein/Fat/Carb ratio of 54:45:1. 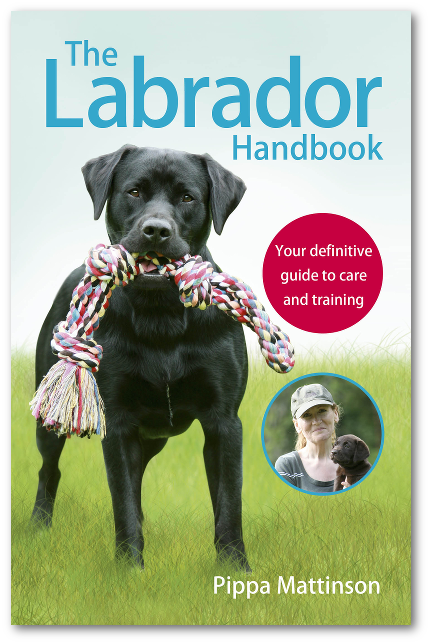 A different study found that the dietary ratio for dogs was 30:63:7. As you can see, their preferred diets are quite similar. Both eat very few carbs, and instead focus largely on protein and fats. But what does this mean when it comes to giving dogs pork? Well, pork matches this dietary preference pretty well. It mostly contains protein, but also has a decent amount of fat in it. However, let’s look at some of the vitamins and minerals pork contains and how they interact with your dog’s diet. This will help us to get a more complete picture. Vitamin C is not technically a requirement in a dog’s diet. However, it does provide a number of benefits. Particularly, vitamin C is helpful for sick and aging dogs. Dogs who are chronically ill or stressed have been shown to have lower than average amounts of vitamin C in their bloodstream. This hints at the possibility that these types of dogs regularly use vitamin C at a higher rate than healthy dogs. Due to their increased use, they might also benefit from an increased amount of vitamin C in their diet. Vitamin C also works as an antioxidant. This word has become very popular in the last couple years. But what does it actually mean? 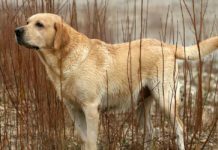 Every day, a dog’s body experiences wear-and-tear. This is done in part by a process called oxidation. This is a normal, natural process that results in things breaking down. A great example of this is rust. Rust is caused by oxidation. It is, basically, the breaking down of metal. However, this also happens inside every living thing. As chemical reactions occur within your body, there is always a chance that oxidation can occur. And there are lots of chemical reactions within every living thing every day, including our pets. This breaking-down process can produce a molecule called a free radical. This molecule basically stumbles around the body and damages other cells, reacting with them and interfering with your body’s normal processes. This can create a variety of problems after an extended period. Antioxidants, though, combat free radicals. They prevent free radicals from forming and clean up the free radicals already present within the body. Pork is also a wonderful source of vitamin B12. This vitamin improves the function of at least three types of enzymes. Without vitamin B12, these enzymes would not be able to function properly. If these enzymes do not function properly, your dog’s chance of hyperhomocysteinemia increase. This is a medical condition characterized by an abnormally high level of homocysteine in the blood. This is simply an amino acid that plays a part in metabolism. Simply put, as protein is broken down in the blood system, this amino acid is left behind. Vitamin B12 then transforms this amino acid into a usable form. When a canine does not have enough B12, this process does not occur correctly. This leaves homocysteine floating around in the blood. This abnormal level is associated with cardiovascular disease. As you can see, pork fits in pretty well to a dog’s diet. 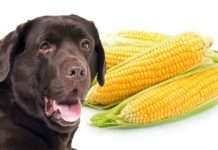 It matches a dog’s preferred level of carbs, protein, and fats. Plus, it also contains a number of nutrients that are very helpful in a dog’s diet. However, with that said, there are a lot of particularities involved in feeding your beloved canine pork. So let’s look at some of the most common questions. Can Dogs Eat Pork Raw? It is best to always cook pork before feeding it to your pup. This is due to a parasite called trichinella spiralis larvae. Cooking the meat kills this parasite and prevents your dog from contracting it. However, if the meat is raw or poorly cooked, there is a chance this parasite could infect your dog. Puppies and aged dogs, in particular, are at risk. Symptoms of this condition include upset stomach, vomiting, diarrhea, elevated fever, lethargy, muscle inflammation, pain, and stiffness. If your pet has a weakened immune system, due to a previous disease, for example, it could increase the chances of their getting infected. Due to this reason, it is always important to cook the pork well before giving it to your pooch. This is a complex question for a number of reasons. On one hand, natural, unprocessed pork bones are okay for your pooch. However, cooked pork bones are not. This is because the act of cooking bones dries them out, and can cause them to become fragile and break. This can create tiny bone-splinters that can cause damage to your pup’s mouth and digestive track. Add this to the fact that you should always cook pork before giving it to your pooch. Can dogs have pork bones? It’s pretty clear that giving your dog pork bones just isn’t a good option. Can Dogs Eat Pork With Spices? While plain pork is okay for your pup to eat, pork covered in spices or sauce is not. Many spices are actually toxic for dogs, including onion, garlic, and nutmeg. These can cause a very serious reaction if consumed by your pup. Many sauces, especially BBQ sauce, also contain these ingredients. For this reason, it is best to opt to only feed your pup unseasoned pork with absolutely no sauce. If your pooch does consume pork with spices on it, it is important to keep a close eye on them for a reaction. If you notice any strange behavior in your pet, you should contact your vet as soon as possible. Is pork bad for dogs? As you can see, plain, cooked pork is perfectly okay for your pup to eat. So for other questions, such as “Can dogs eat pork chops?” “Can dogs eat pork rinds?” or “Can dogs eat pork sausage?” it is best to take all this information into account. Actually, it even contains a number of health benefits. However, it is important that the pork is plain and well-cooked. Seasoned or raw pork can cause serious issues for your pup. Furthermore, pork bones are also a big no-no for your dog. Does your dog like pork? How do you feed it to them? 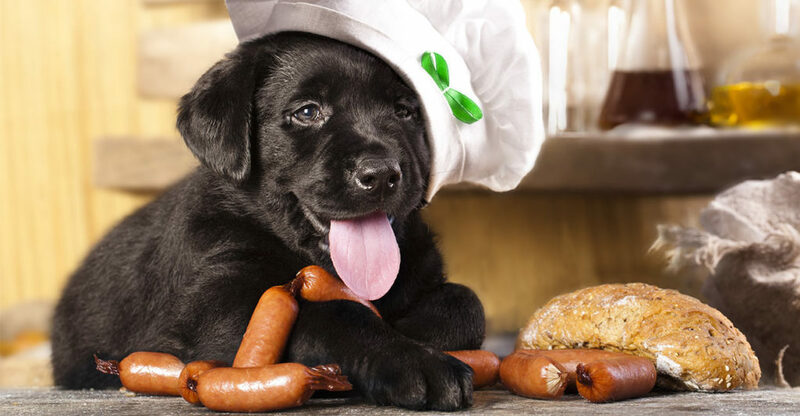 Have any recipes your pups love? “Pork, fresh, variety meats and by-products, spleen, cooked, braised Nutrition Facts & Calories.” SELF Nutrition Data. Bosch, Guido. “Dietary nutrient profiles of wild wolves: insights for optimal dog nutrition?” British Journal of Nutrition. 2015. Dowling, Amy. “Antioxidants in the Canine Model of Human Aging.” Biochimica et Biophysica Acta (BBA) – Molecular Basis of Disease. 2012. Hewson-Hughes, Adrian. “Geometric analysis of macronutrient selection in breeds of the domestic dog, Canis lupus familiaris.” Behavioral Ecology. 2013. Steiner, Jorg. “Cobalamin: Diagnostic use and therapeutic considerations.” Gastrointestinal Laboratory. 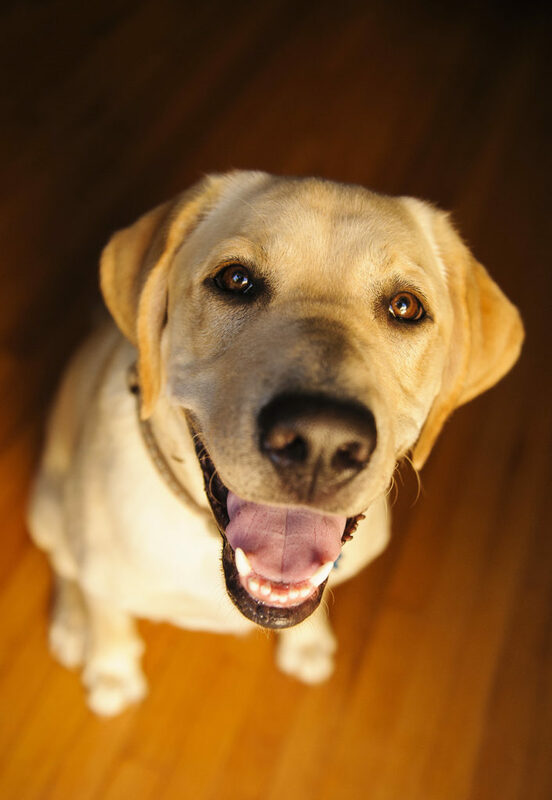 Next articleIs Your Dog Home Alone: How Long Can You Leave Your Lab? i was told there was a chemical in pork that was bad for dogs. Jewish dogs should never eat pork. It would be an abomination. Bacon, on the first Tuesday of odd months is an exception. I regularly treat my black lab to smoked pork ham bones that I get from my local meat shop,.. he loves them and has had no issues of bone splintering unless they really get dried out after having them for a while. I let him have the dryer ones until he actually cracks them open to get the remaining marrow out and then toss the remains out afterword. My Lab eats a Fromm kibble heavy on red meat, and pork is one of the main ingredients. Until I started feeding him this brand, I never realized pork was good for dogs – in fact, I thought the opposite.